Rose gold diamond radiant eternity band. Amazing at showing off. 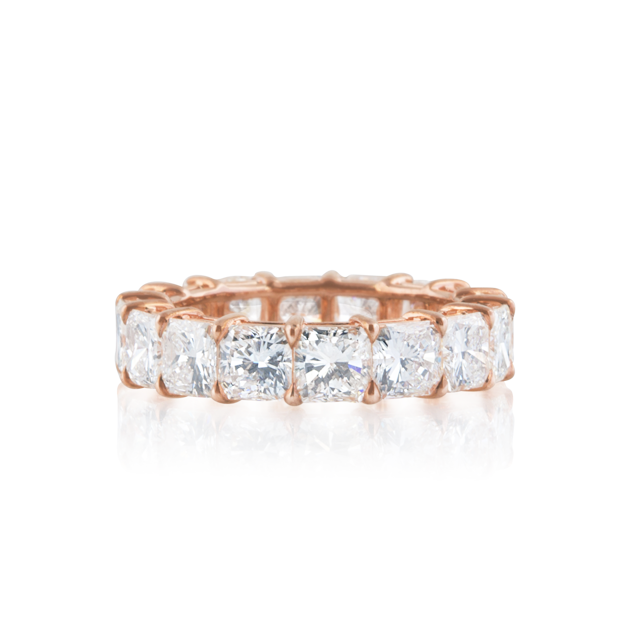 This radiant eternity diamond band shows off each stone by being set in a well contrasted metal like rose gold. The diamonds are all matched in color, cut, and clarity and display in a perfect timeless shared prong setting. To view this ring please book an appointment or stop by at our Newport Beach Location, north of Laguna Beach and Corona Del Mar and west of Costa Mesa.